importantly, prepared and assembled at the very last moment with passion. 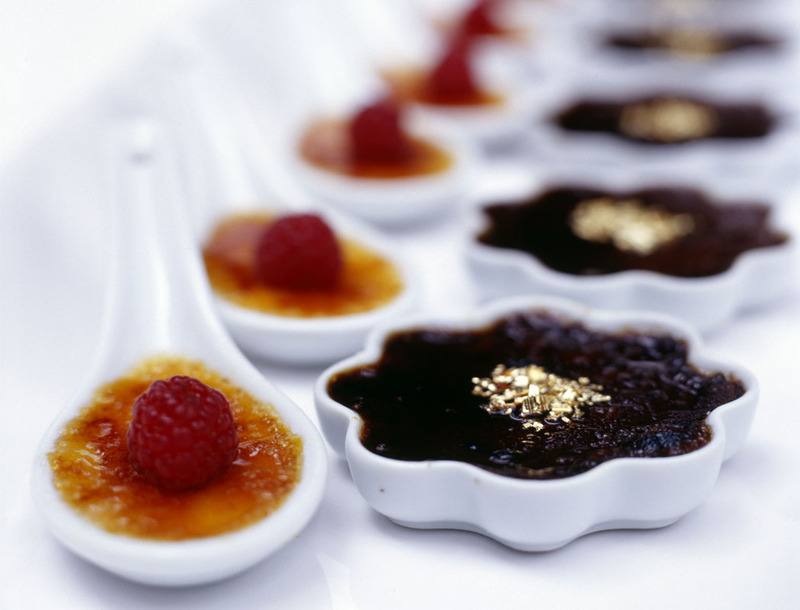 We can cater for all dietary requirements. between 5 and 8 pieces of Finger Food per person, per hour of a function. Let us assist you in creating the perfect selection. We provide serving Platters & Cocktail Napkins Free of Charge. Minimum order 25 x pieces per option. • Gazpacho topped w mini Olive baked croutons. • Rocket Vichyssoise topped w Parmesan dusted croutons. • Strawberry & Minted Watermelon. • Crayfish, Lemongrass & Coconut Bisque. • Avocado, Lemon Confit and Minted Pea. • Goat Cheese Tartlet dusted w Pistachio crumbs, topped w Blackberry Jelly. • Bocconcini on Parmesan Bite w Cherry Tomato, Basil Pesto & Olive Pate. • Guacamole in Filo Cup topped w Kikorangi & Cherry Tomato. 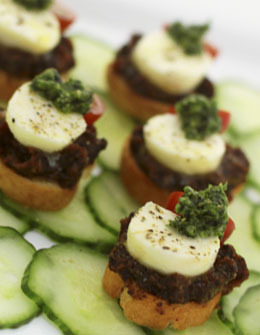 • Goat Cheese Tartlet topped w Sun-Dried Tomato Pate & Rocket Pesto. • Lavender dusted Feta on Oatmeal bite w Walnut-Parsley Pate & Pear Preserve. • Eggplant, Capsicum & Courgette Roulade on Olive Crostini. • Creamy Blue Vein Cheese Tartlet topped w Raspberry Jelly. • Classic Bruschetta w Pesto, Tomato, Capers, Chives & Olives. • Falafel topped w Pickled Eggplant, Caper & Artichoke Pate w Rosemary Jelly. • Peppered Mascarpone on Kumera Rosti, topped w Feijoa Chutney. • Guacamole w Shaved Parmesan & Rock Melon Pearl, in Ceramic spoon. • Mascarpone Tartlet w Fig & Walnut Pate, topped w Blackberry Jelly. • Smoked Salmon on Blinis w Smoked Salmon Pate & Watercress Pesto. • Prawn skewer w Sweet Chilli, Ginger & Coriander. • Shrimp Skewer served in a shot glass w classic Gazpacho. • Hot Smoked Salmon Rillettes, served on Potato Rosti w Caper Berry. • Sesame dusted Tuna Loin w Courgette Chutney on Crispy Fish Cake. • Smoked Mussel on Poppy Seed Bite w Fig & Walnut Pate. • Seared Scallop w Guacamole & Smoked Balsamic Jelly, in Ceramic Spoon. • Steamed Prawn on Thai Fish Cake w Coriander Pesto & Avocado. • Shrimp Skewer served in Shot Glass w Coconut & Lemon Grass Tea. • Salmon Tartar on Poppy Seed Biscuit w Parsley Tapenade & Pickled Ginger. • Minted Tuna Tartar on Oatmeal Bite topped w Pickled Quail Egg. • Salmon Pastrami on Kumera Rosti w Crème Fraîche & Wasabi Caviar. • Tuna Tataki on Falafel w Kaffir Lime, Coconut & Banana Chutney. • Salmon Rillettes served in a Slider Bun w Raspberry & Red Pepper Pate. • Smoked Tuna Pate on Blinis topped w Rhubarb & Lemon Chutney. • Pork Fillet on Parsnip & Pear mash w Crab-apple Jelly, served in Ceramic Spoon. • Prosciutto & Feta on a Poppy Seed Bite w Celery Leaf & Parsley Pesto. • Seared Lamb Loin on Kumera Rosti w Feijoa Chutney & Rosemary Jelly. • Mini Steak Tartar on Olive baked Crouton w Pickled Quail Egg. • Prosciutto with Rock Melon Pearl on Olive Crouton w Peach & Mango Chutney. • Peking Duck Mousse Tartlet topped w Raspberry Jelly. • Beef Tataki on Potato Rosti w Spicy Lime & Fig Chutney. • Chicken Liver Mousse Tartlet w Pistachio Crumbs & Quince Preserve. • Dukkah Dusted Lamb on mini Corn Bite w Sun dried Tomato & Olive Chutney. 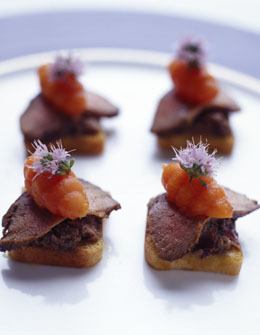 • Shaved Hoison seared Beef Fillet on Crostini w Tamarillo & Plum chutney. • Venison Tataki on mini Corn Bite w smoked Baba Ghanough & Balsamic Jelly. • Slow Cooked Cinnamon Pork Rillettes served in a Slider Bun w Rhubarb Chutney. • Smoked Chicken Rillettes served in a Slider Bun w Spicy Eggplant Pickle. • Asian Spiced Duck Confit served in a Slider Bun w Blackcurrant & Red Onion Jelly. • Seared Venison on Kumera Rosti w Nectarine Chutney & Bramble Jelly. • Pumpkin & Feta Risotto Cake w Minted Yoghurt dipping sauce. • Mushroom & Mozzarella Risotto Cake w Tomato & Red Pepper Relish. • Mushroom, Olive & Sundried Tomato Pate Tart topped w Crème Fraîche. • Crumbed Mushroom Croquette w Tomato & Chilli Jam. 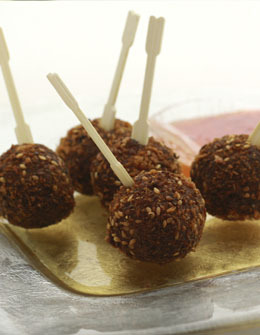 • Crunchy Vegetable Cocktail Bites w Creamy Center & Spiced Plum dipping Sauce. • Crispy Tomato & Mozzarella Risotto Bites w Sweet Chilli dipping Sauce. • Spinach & Feta Pastry Parcels w Minted Cucumber & Yoghurt dip. • Pumpkin & Cream Cheese Pastry Parcels w Spiced Apricot dipping sauce. • Gyoza Vegetable Pastry Crescent w Wasabi & Ginger Aioli. • Mini oriental spiced Vegetable Samosas w dipping sauces. • Mini Vegetable Spring Rolls w dipping sauces. • Crispy Vegetable Lanterns w Spiced Rhubarb dipping sauce. • Indian selection: Onion Bhajis, Vegetable Samosas & Pakoras w dipping sauces. 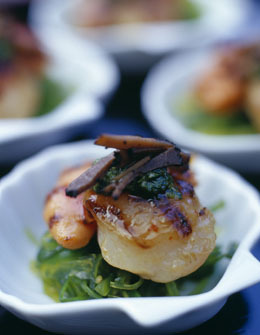 • Scallop & Prosciutto skewer w Black Bean & Ginger marinade. • Prosciutto wrapped Mussel skewer w Tamarind & Coriander marinade. • Crispy Fish Bites dusted w Asian spices, served w Tartare sauce. • Crunchy Salmon Cocktail Bites w creamy center served w Horseradish Mayo. • Grilled Sweet Chilli & Coriander Prawn skewer w Lemon Mayo. • Crispy Prawn Filo Pastry Twisters w Mango, Lime & Chilli dipping sauce. • Smoked Lemon-Zested Fish Cakes served w Caper, Lemon & Dill Mayo. • Crispy Crab Lanterns w Plum & Coriander dipping sauce. • Crispy Panko crusted Prawn Cutlets served w Tartare sauce. • Parmesan dusted Prawn w spiced Lime & Fig dipping Sauce. • Coconut dusted Prawn w Rhubarb dipping sauce. • Macadamia Crusted Chicken & Ginger Cakes w Red Pepper Jelly. • Crunchy Chicken Cocktail Bites w creamy center served w Spiced Apricot Sauce. • Mini Beef Burger w Gherkin Relish & Beetroot Jam. • Mini Lamb Burger w Gherkin Relish & Beetroot Jam. • Smoked Chicken & Prune Mousse in Filo Pastry cup, dusted w Pistachio Crumbs. • Mini Mince Pie served w Tomato Ketchup. • Mini Smoked Chicken Pie w Smoked Tomato sauce. • Butter Chicken Samosas w Roasted Peach Chutney. • Crunchy Beef Cocktail Bites w creamy center w Tamarillo & Plum sauce. • Thai Chicken & Peanut Cake served w Malay Curry dipping sauce. • Mini Chorizo wrapped in Brioche w Spiced Plum dipping sauce. • Moroccan Spiced Beef Croquette w Tzatziki dipping sauce. • Rosemary & Lavender Lamb cakes w Minted Apple Jelly. • Thai Green Curried Pork Puffs w Spiced Apricot dipping sauce. • Fennel Dusted Pork croquette w Blueberry & Apple Chutney. • Chicken & Lemongrass Lanterns w Roasted Cherry Chutney dipping sauce. • 70% Dark Chocolate Mousse cake w Almond Dacquoise. • Raspberry Mousse Cake w Almond Dacquoise. • White Chocolate Mousse Cake w Almond Dacquoise. • Green Tea Mousse Cake w Almond Dacquoise. • Lemon Mousse Cake w Almond Dacquoise. • Assorted Macaroons: Pistachio, Strawberry, Raspberry, Citrus, Orange & Cherry. • Tiramisu Mousse in a Chocolate Cup w Chocolate Coated Coffee Bean. • Profiteroles 70% Dark Chocolate dipped & Cream Filled Profiteroles. • Black Cherry Compote Tartlet dusted w Oat & Honey Crumble. • Blueberry Compote Tartlet dusted w Oat & Honey Crumble. • Rhubarb & Apple Compote Tartlet dusted w Toasted Coconut. • Strawberry Tartlet w Crème Patissiere. • Vanilla & Orange Crème Brulee served in Ceramic spoon. • Orange Curd Tartlet topped w Chocolate, Chilli & Passion Pate. • Lime Curd Tartlet topped w Rata Honey Mascarpone Mousse. • Espresso Mousse in Chocolate cups w Chocolate Coated Coffee Bean. • Fresh Fruit Skewers w sweet dipping sauces. • Finger Foods are priced at $3.50 per piece. • Minimum finger food order 150 pieces. • Delivery Fee is variable based upon location. Please appreciate that staff require a minimum of 4 hours each per shift. Please refer to our Equipment Hire list on our website. We can supply a quote estimate upon request. Please Note: GST Excluded on all the above pricing. Click here to make an enquiry or call us in Tauranga on (07) 571 6225.